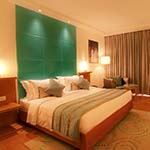 Gateway Residency Road is situated centrally in the city of Bangalore. It offers comfortable en-suite accomodation with all modern facilities, including a spa, outdoor swimming pool and fitness centre. 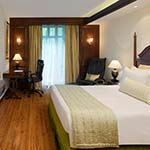 All rooms provide flat-screen cable TV, minibar, tea and coffee facilities and safety deposit box. Swimming pool or city views are available. 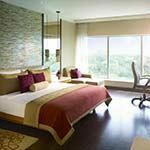 Lalit Ashok is one of the best luxury hotels in Bangalore, nestled in an oasis of 10-acres of sprawling landscape and manicured lawns. 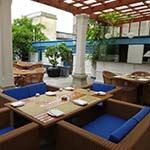 The hotel offers a lovely outdoor swimming pool and six dining options. 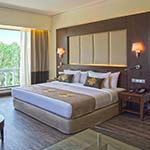 Each air-conditioned luxury bedroom has a flat-screen TV, ironing board, work desk, tea/coffee facilities, safety deposit box and minibar. 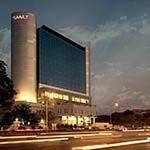 Hyatt Regency is one of the best luxury hotels in Chennai, situated close to the consular and business districts. Spacious en-suite guest rooms and suites are fitted with every modern convenience including TV, free WiFi, luxurious beds and elegant baths. 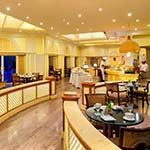 There are several dining options including Italian cuisine at Focaccia, authentic sushi at Yakiniku, flavourful Chinese at Stix, Spice Haat for curries, the stylish 365 A.S.Bar, Biscotti Bakery and the Lobby Lounge. 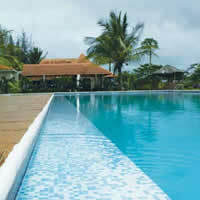 Other facilities include an outdoor swimming pool with sundeck, luxury Siddh Spa and fully equipped fitness centre. 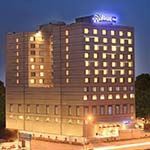 Radisson Blu Chenna is a modern luxury hotel situated near the Chennai Trade Centre and the international airport. 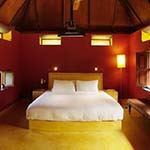 The chic stylish rooms have wooden floors, modern furnishings, free high-speed WiFi, minibar and a coffee and tea-maker. You can relax at the Salt Lick Bar and chose from a huge array of skewers at The Great Kabab Factory restaurant. 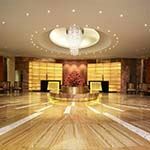 The hotel also has a relaxing spa, one of the best fitness centers in the city and an airport shuttle. 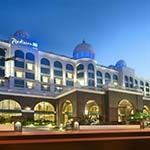 Radisson Blu City Centre is a modern luxury hotel centrally situated in the Chennai business district. 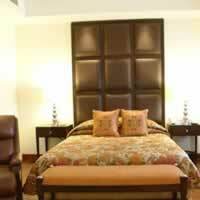 The spacious guest rooms and suites have modern furnishings, free high-speed WiFi, minibar and coffee and tea-maker. 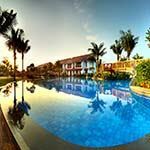 You can relax at the bar; chose from a huge array of cuisine at one of the on-site restaurants; work out in the well-equipped gym or unwind at the Chakra Spa. Gateway KM Road offers privacy and exquisitely restored colonial architecture. 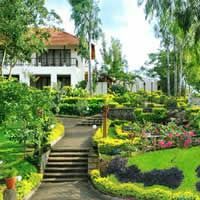 Located in the coffee district of Karnataka, the hotel surrounds guests with the tranquil sights and sounds of nature. While every view from The Gateway Hotel is different, the things that matter will always be the same-clean bathrooms, comfy beds and modern touches that surprise. Nestled In the heart of rolling mountains and drifting mists, guests at Gateway Church Road find it easy to lose themselves in the views and exotic surroundings. No two rooms are alike at this historic hotel with old world charm. 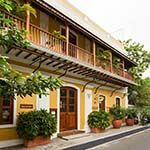 An artful blend of colonial architecture and contemporary amenities ensures that guests will find their stay here to be a relaxing experience. High-speed Internet & Wi-Fi is available throughout the hotel. 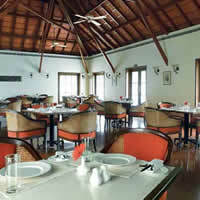 Mantra Koodam is a small hotel situated in Veppathur, close to Kumbakonam - the town of 5,000 temples. 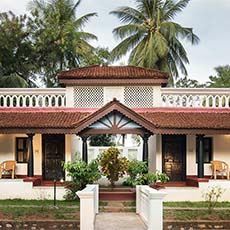 Designed in the style of a traditional Chettiar home, each guest cottage has tiled floors, ornate wooden doors, spacious partially open en-suite bathroom with rain shower, seating area and large veranda. 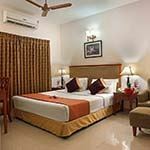 Free Wi-Fi, air conditioning, ceiling fan, mini-bar, tea/coffee making facilities and safe are provided. 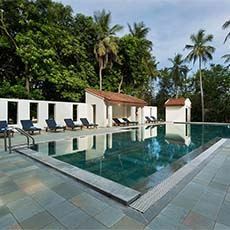 Other facilities include an Ayurvedic spa, yoga sessions, outdoor pool, herb garden and restaurant that serves regional cuisine. 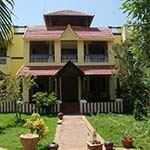 Paradise Resort is a traditional Tamil Nadu homestead situated in a quiet suburb of Kumbakonam, on the main road to Tanjore. 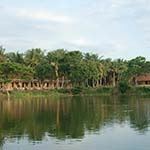 It is close to the Airavateshvara Temple and set among lush coconut palms, lofty teak trees and mango groves. 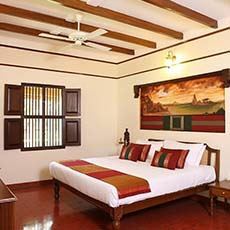 Air conditioned guest cottages are spacious, with woodwork that showcases southern India’s rich culture of craftsmanship. The lawns have geese and turkey grazing. 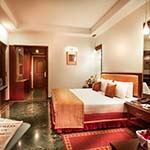 Facilities include the Chettinad Restaurant, an outdoor swimming pool and an Ayurvedic Spa. 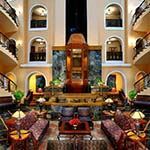 Gateway Pasumalai is a lovely 19th century heritage hotel set in 62-acres of landscaped gardens, on the top of Pasumalai Hill. 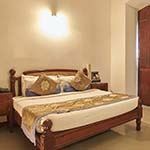 It is away from the hustle and bustle of Madurai City, with wonderful views of the Meenakshi Temple and the Kodai Hills. 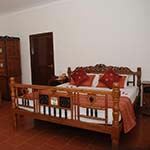 Each spacious room has wooden floors, king-size bed, seating area, en-suite bathroom with bathtub and large bay window. 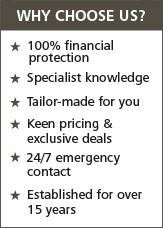 Satellite TV, mini-bar, toiletries and tea/coffee facilities are provided. 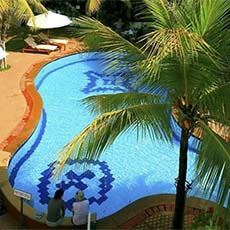 Other facilities include an outdoor swimming pool, Ayurvedic spa, lounge, bar and restaurant serving international cuisine. 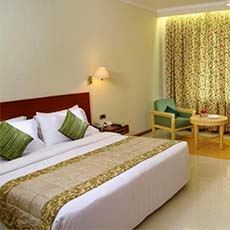 Regency by GRT offers luxury and comfort in Madurai, close to the temple district. En suite guest rooms reflect the heritage of the city in a blend of age-old tradition and modern comforts. 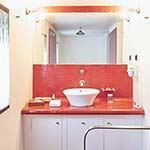 Facilities include air conditioning, free WiFi, cable television, safe, toiletries, hairdyer and tea/coffee facilities. 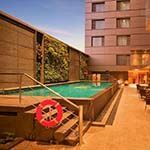 On-site amenities include an outdoor swimming pool, fitness centre, Ahaaram Restaurant for fine dining and multi-cultural cuisine and the popular Madhuram lounge bar. 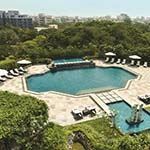 Radisson Blu, Temple Bay offers luxury beachfront accommodation set in 18-hectares of lovely gardens, overlooking the Bay of Bengal. 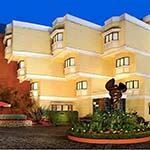 The resort is close to the Krishna Cave Temple and Pancha Rathas monument. Airy modern chalets offer free Wi-Fi, TV, minibars and coffee makers. Each has a private patio or balcony, with pool or garden views. Villas have private pools and hot tubs. The resort has two restaurants offering international dishes. 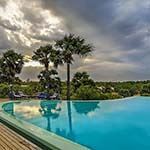 Other amenities include a bar, Ayurvedic spa, gym and two swimming pools - one of which is an infinity pool. 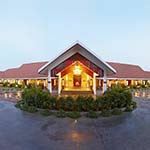 InterContinental Mahabalipuram is situated at Covelong on the Coromandel Coast, close to the Shore Temples World Heritage site. The spacious modern guest rooms have all modern facilities required for a comfortable stay including air conditioning, TV, free WiFi and tea/coffee facilities. Each bathroom has a hairdryer and toiletries. 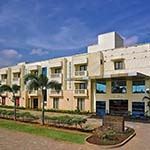 Hotel facilities include an outdoor swimming pool as well as a variety of dining options. 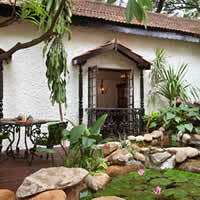 The hotel also has an Ayurvedic spa and wellness centre, fitness centre and tennis court. 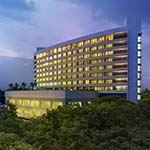 Radisson Blu Plaza is a modern luxury hotel situated in the heart of Mysore, overlooking the zoo with wonderful views of the Chamundi Hills. You can walk to St. Philomena’s Cathedral and Mysore Palace. 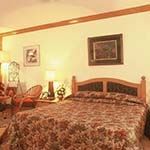 Guest rooms are stylishly furnished with wooden floors and flat-screen TVs. Hotel facilities include a health and fitness centre, wellness spa and a restaurant that offers global cuisine from India, Asia and beyond. 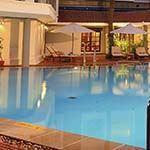 There is also a swimming pool and free high speed wireless Internet. 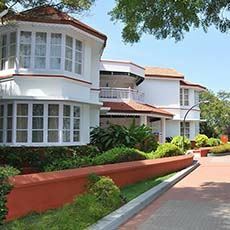 Fortune Sullivan Court is a beautiful resort set amidst lush green lawns and colourful gardens on the gentle slopes of Ooty. Named after the founder of the town, this is a perfect place to relax and unwind, as most of the luxury en-suite guest rooms have scenic view of the slopes. 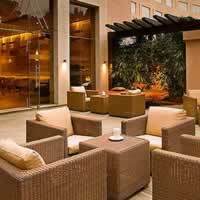 Facilities include the multi-cuisine Pavilion Restaurant and Selbourne’s Bar, where you can sip your favourite drink. Other amenities include a gym and spa treatments. There is also Wi-Fi. 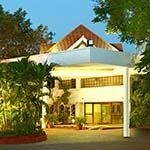 Accord Puducherry is an upmarket hotel with a marble lobby, situated close to the Manakula Vinayagar Temple and 2-miles (3.5 km) from popular Promenade Beach. 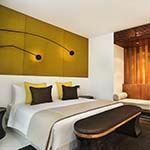 The modern guest rooms have wooden furnishings, with city or pool views. 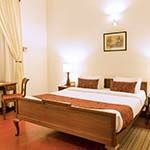 Facilities include free Wi-Fi, TV with DVD player, minibar and tea/coffee facilities. Suites have a separate living room and upgraded suites have a separate dining room and hot tub. There is a bar and a coffee shop that serves international buffet fare. 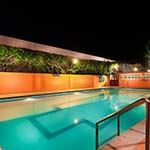 There is also an outdoor swimming pool, fitness centre with sauna and hot tub. 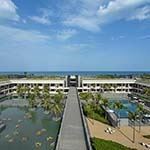 Dune Eco Village & Chopra Healing Centre is a beach resort in Pondicherry, spread over 35 acres of lush gardens. 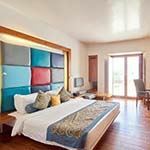 A variety of accommodation is offerered, ranging from eco-bungalows to luxury airconditioned rooms and suites, fusing traditional and modern architecture. 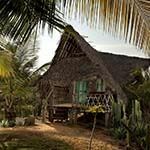 Ayurvedic treatments, yoga and meditation, as well as many western massages and hot water therapies like Watsu (water shiatsu) and Woga (water yoga) are offered. Two restaurants serve healthy gourmet fusion food, prepared using organically farmed vegetables. 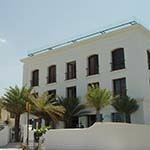 Le Dupleix is a luxury hotel with interesting French architecture, situated in the heart of Pondicherry near Rock Beach. The modern guest rooms are spacious and each one is well appointed with air conditioning, TV, Wi-Fi, minibar, tea/coffee maker, safe and en-suite bathroom with bathrobes and slippers. 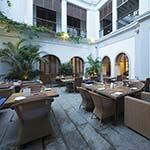 There is a bar and a restaurant located in the shade of a mango tree that offers French and Indian cuisine, making it one of the most sought-after restaurants in Pondicherry. 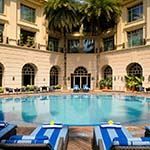 Palais De Mahe is a luxury hotel, fusing French colonial style with contemporary features and situated in the French Quarter near the Bay of Bengal. 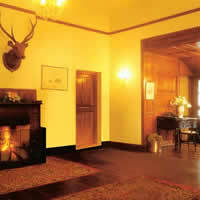 It has elegant period decor, spacious verandas, high ceilings and arched doorways. 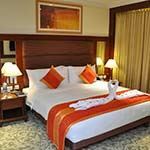 The guest rooms are furnished with comfortable beds and en-suite bathrooms. 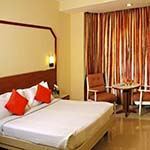 Air-conditioning, satellite TV, tea / coffee making facilities, safe and free Wi-Fi are provided. 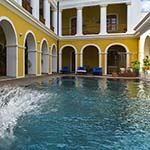 Relax in the spa or on a sun lounger in the courtyard and take a dip in the pool surrounded by the colonial architecture. 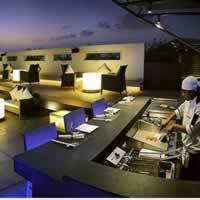 There’s a bar, cafe and rooftop restaurant serving fresh seafood dishes according to the catch of the day. 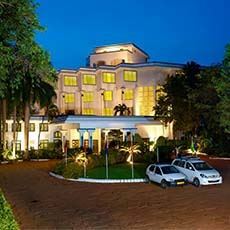 The Promenade is splendidly situated in the heart of the ancient French Quarter in Pondicherry. While interiors are ultra modern with a clean minimalist design, the outside is colonial French. 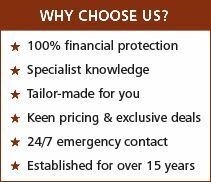 All en suite guest rooms have wooden floors, TV with satellite channels, WiFi, minibar, safe, tea/coffee maker and air conditioning. 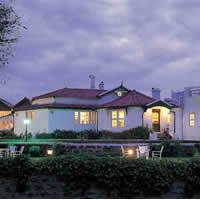 Toiletries, bath robe, slippers and hair dryer are supplied and there is an outdoor swimming pool and gym. The beautifully landscaped porch overlooking the ocean is a wonderful place to relax in the evening. 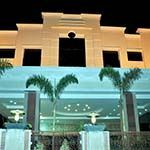 Sangam is a welcoming hotel situated in central Tanjore, close to the famous Brahadeeshwara Temple. 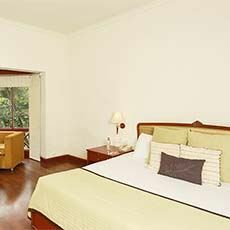 Each modern and spacious guest room features large windows, en-suite bathroom with shower and seating area. SatelliteTV, free Wi-Fi, mini-bar, safe, hairdryer, toiletries.and coffee maker are also provided. 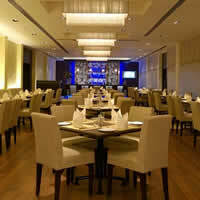 Thillana is a multi-cuisine restaurant and the Layam Bar offers another place to relax. 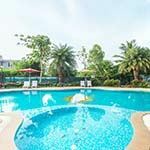 There is also a large outdoor swimming pool for your enjoyment. 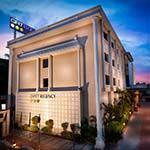 Sangam Hotel has a central location in Trichy, close to the temples. 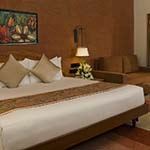 Spacious rooms offer all modern amenities including TV, minibar, safe, hairdryer, coffee facilities and free Wi-Fi. 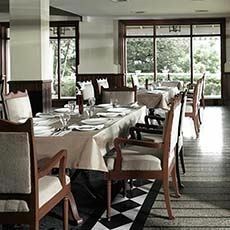 There are three dining options, including the multi cuisine Chembian Restaurant which offers the best fine dining in town. There is also a coffee shop, an Egyptian themed bar and an outdoor swimming pool for relaxation.